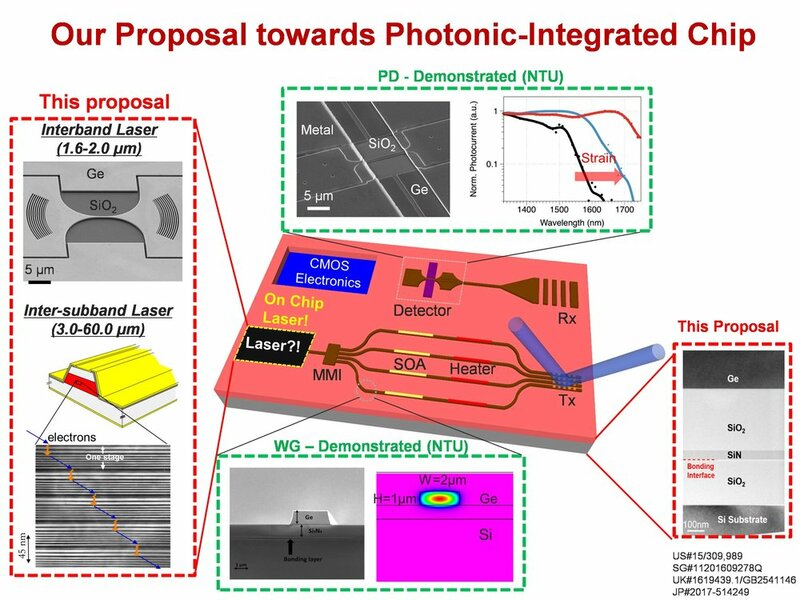 Photonic-integrated circuits hold the key to the ultimate miniaturization of various disruptive technologies such as chip-scale LiDAR and biochemical sensors. However, the realization of such a significant technology is currently limited by the absence of an efficient light source on silicon, thus making a high-performance silicon-compatible laser the Holy Grail. Germanium, which is a key ingredient in state-of-the-art CMOS chips, may solve the long-standing problem of an on-chip light source. This project aims to develop novel germanium-based lasers by using ingenious technology such as extreme elastic strain engineering. The light sources developed in this project will emit the lasing beam covering from near-infrared to mid-infrared that are technologically important for LiDAR and sensing technology. The new capabilities in group-IV materials growth and characterization, laser design and co-integration with existing electronics, and emerging sensing applications place Singapore at the forefront of next generation silicon photonics research excellence in the region and globally.